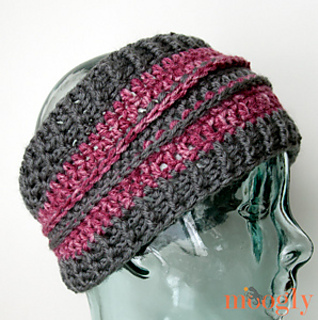 The All Grown Up Ear Warmer is a great stash buster, using 2 or more colors of yarn but less than 100 yards total! And it’s a great addition to your winter wardrobe – an extra layer under a coat hood when outside, alone once it warms up a bit, or around the house when it’s particularly chilly. Depending on the colors you use it works for both men and women, and with 2 sizes it’ll fit everyone from pre-teens to adults. 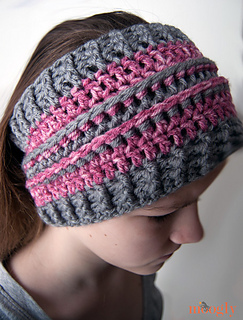 Pair it with the All Grown Up Arm Warmers to make a matching set! Video tutorial for right & left handed now available as well!